Happy 2017! As the festivities calm down and everyone gets back into the normal flow of things, here are some important postal holidays for you to remember. 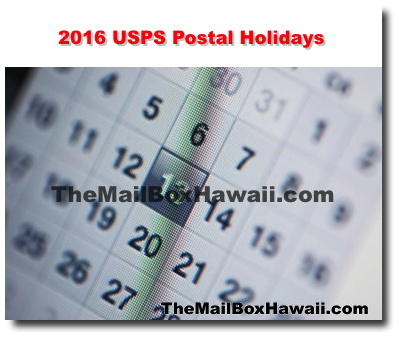 During these postal holidays, most United States Postal Service post offices will be closed and there will be no mail delivery on these said dates. *December 25, 2017 is a Sunday (the legal public holiday for Christmas Day). For most Federal employees, the following Monday will be treated as a holiday for pay and leave purposes.